The Tasmanian Museum and Art Gallery (TMAG) is proud to present a national touring exhibition focused on shell-stringing, one of the Tasmanian Aboriginal community’s most culturally significant and closely-guarded traditions, opening today at the museum. 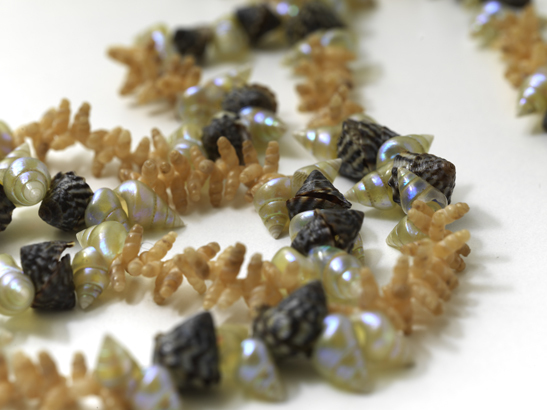 kanalaritja: An Unbroken String features a variety of beautiful, delicate and rare shell necklaces, created by Tasmanian Aboriginal Ancestors in the 1800s, acclaimed makers of today as well as a new wave of stringers who had the opportunity to learn the tradition through the luna tunapri (women’s knowledge) cultural revitalisation project. 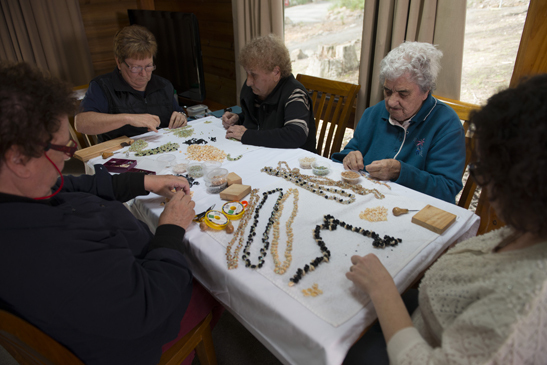 Since 2010, TMAG has worked with the Tasmanian Aboriginal Community to facilitate a number of luna tunapri workshops in which women in the Community – who had not had shell stringing passed down through their families – were guided through the intricate processes of collecting, cleaning and stringing. 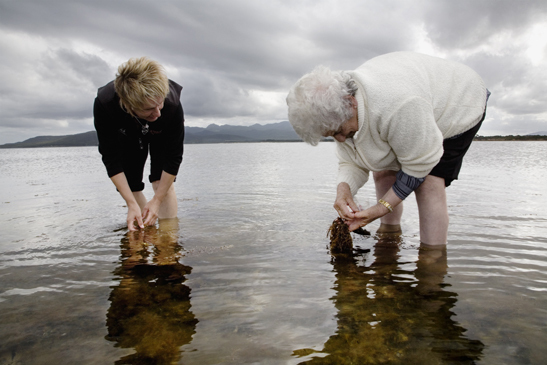 The women were encouraged to look in their local areas for shell collecting beaches and to use the knowledge shared with them to develop their own distinctive shell stringing styles and new traditions. Building on the overwhelming success of the luna tunapri project, the women aspired to share their journey with the wider public, leading to the creation of kanalaritja: An Unbroken String. “Shell-stringing has never before been the focus of a touring exhibition, nor comprehensively documented in a dedicated publication,” TMAG Director Janet Carding said. “kanalaritja: An Unbroken String is a culmination of the journey of cultural renewal, while also celebrating the generations of makers who have sustained this uniquely Tasmanian Aboriginal cultural practice. “Importantly, this is a project that has been led by the Tasmanian Aboriginal community and I would like to acknowledge them for allowing us to help tell their story. kanalaritja: An Unbroken String is accompanied by a dedicated publication featuring a range of essays and photographs, aiming to build awareness and provide a definitive account of the unique cultural practice of shell stringing. Following its showing at TMAG, it will tour to every state and territory in Australia between 2017 and 2019. “The development, production and tour of the exhibition and book has been generously supported by the Australia Council for the Arts and the Australian Government’s Visions of Australia program, and the TMAG Foundation have funded the significant acquisition of new works made for the exhibition,” Ms Carding said.